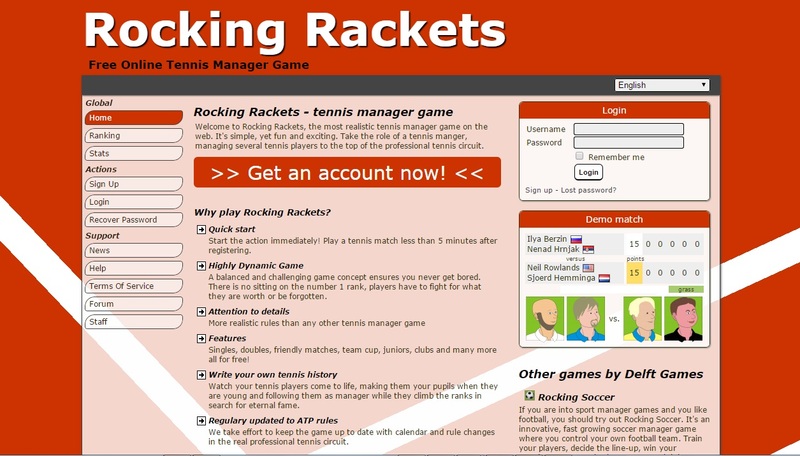 Rocking Rackets is a text-based tennis sport manager game. Made by the same guys who also created Rocking Soccer so it’s got to be good. Your role is to manage your tennis players as their manager. At first you have to join a Game World, then start hiring players and enter tournaments. You may also do friendly matches, for that you need trailers, they will give experience to your active players. Keep an eye on circuit rankings and results and give your best to beat others, most of all have a fun time playing. This is a really fun tennis game with potential to make many friends on here! What’s your Rocking Rackets username? It’s a fun game. Easy to play. With realistic tournament and ranking systems.